Service learning is essential for students of every age. But kids’ first service learning experiences must be enjoyable in order to establish a lifelong passion for giving back. The key is to provide an authentic, memorable volunteerism experience, all the while making service learning fun for kids. Improvement of students’ problem analysis, critical thinking, and cognitive development. Heightened student engagement in the lesson. 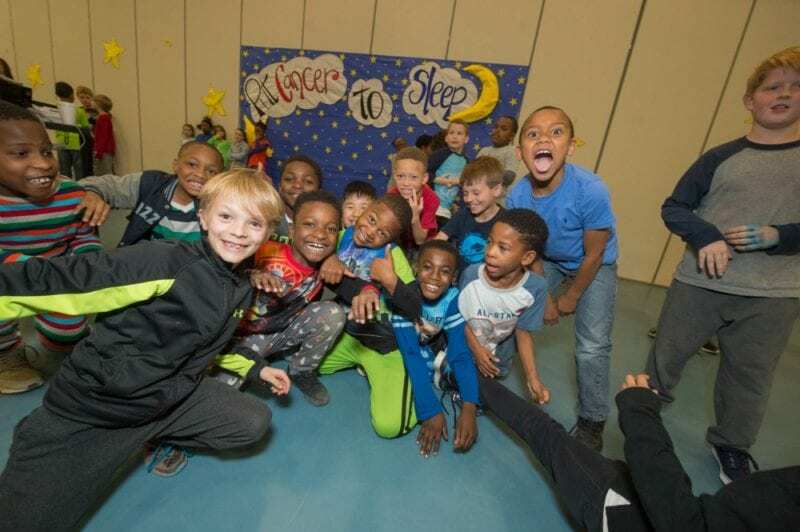 Together with our friends at St. Jude, we’ve come up with seven easy but impactful ways you can make service learning fun for the kids in your classroom. Preschool and day care children learn about trike and riding-toy safety and the importance of helping others, all while having fun and earning prizes. 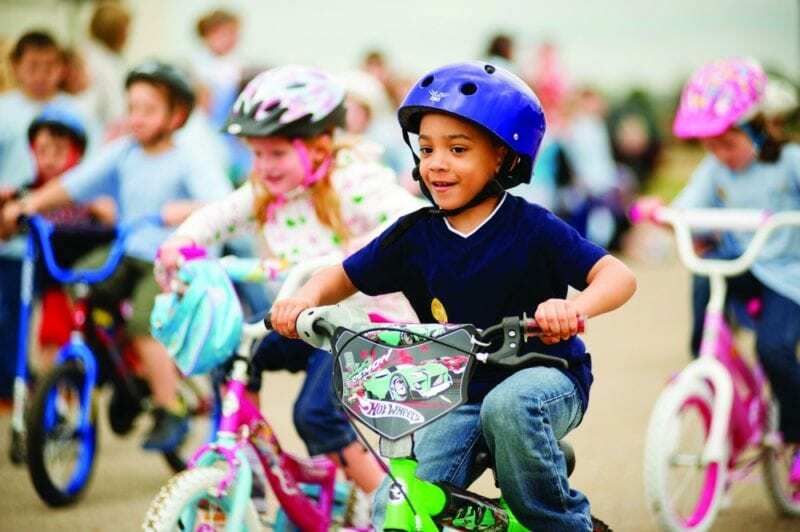 Launched in 1983, St. Jude Trike-A-Thon fundraisers provide educators with a weeklong curriculum that includes a series of interactive lessons with two charming characters, Bikewell Bear and Pedals the Bunny. Educational materials—storybooks, videos, and coloring books—that support learning are also provided. All of this adds an educational bent to your big trike event and your efforts for St. Jude! Click here to find out more. 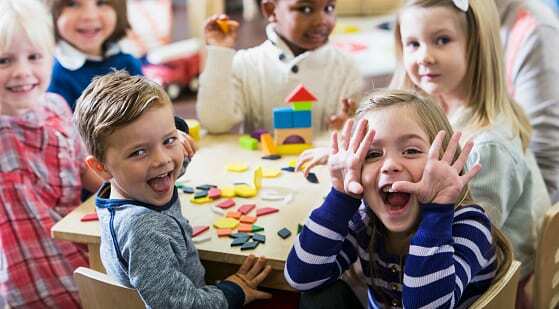 Five-year-olds are excited and can be a bit apprehensive when entering elementary school or making the jump from kindergarten to “the big leagues.” Have older elementary students visit the kindergarten or a local preschool to present special books, photos, or videos they created that tell children what to expect when they transition to a new grade. 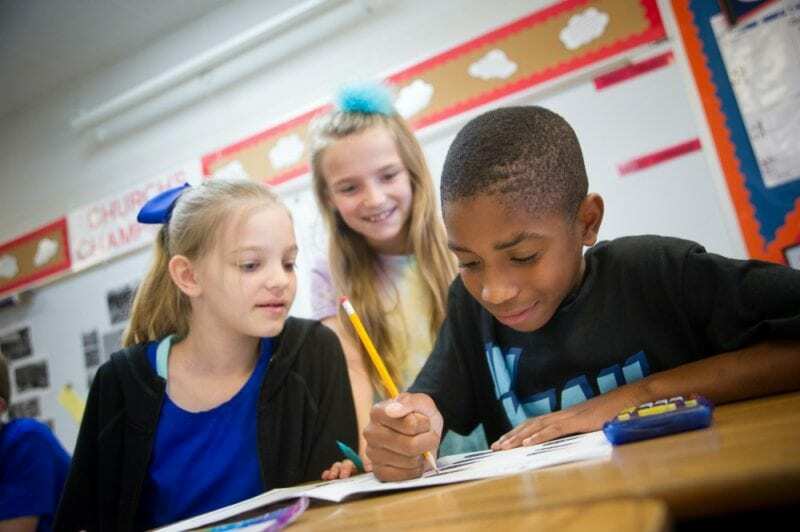 The St. Jude Math-a-Thon is designed to work with your school’s existing curriculum. Students raise money from friends and family and solve math problems in grade-specific Funbooks, developed by Scholastic. Students also learn how math plays an important role in the lifesaving work happening every day at St. Jude. Visit stjude.org/math to get your class involved. 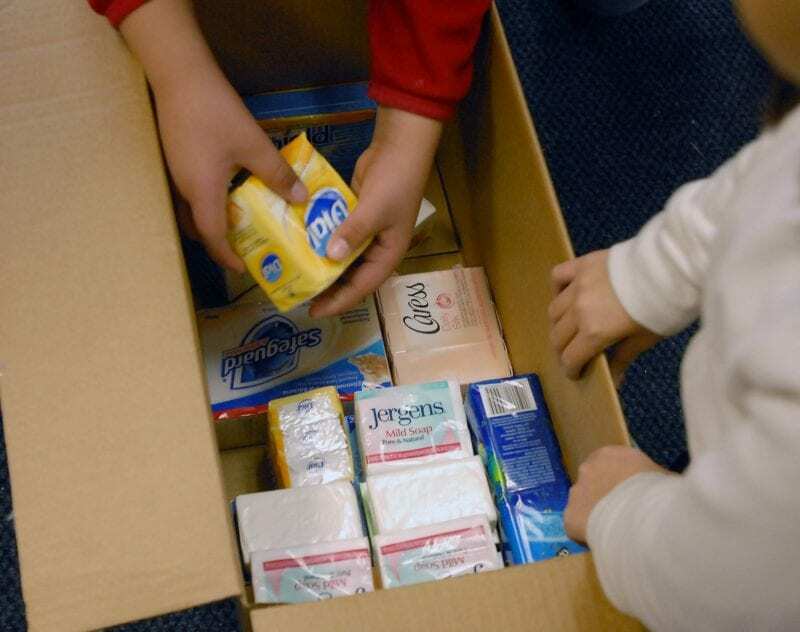 Students collect soap donations from families, as well as unused soap from local hotels that would normally be disposed of, and donate them to local homeless shelters. While learning about economics, have your students develop their own businesses to raise money for a charitable cause. Students develop a product, brand name, and logo and create a commercial by filming one another with an iPad or present their product to the class. Then turn your classroom or school cafeteria into a kid business expo where students can purchase goods from their classmates and students sell their wares. Products that students have sold with success in kid business classrooms include lip balm, slime, cake pops, UFO Frisbees, and candy boxes. The proceeds then go to your students’ cause of choice, such as St. Jude! 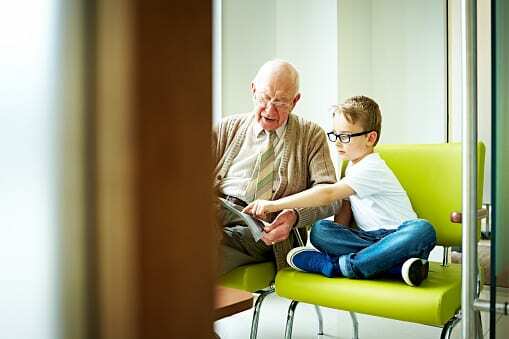 Students can improve their reading skills by reading to nursing-home residents in their local communities. Not only are students making new friends, they are improving their reading fluency. Pair your passion with a purpose by designing your own fundraiser for St. Jude. When it comes to creating your own event, the sky’s the limit! 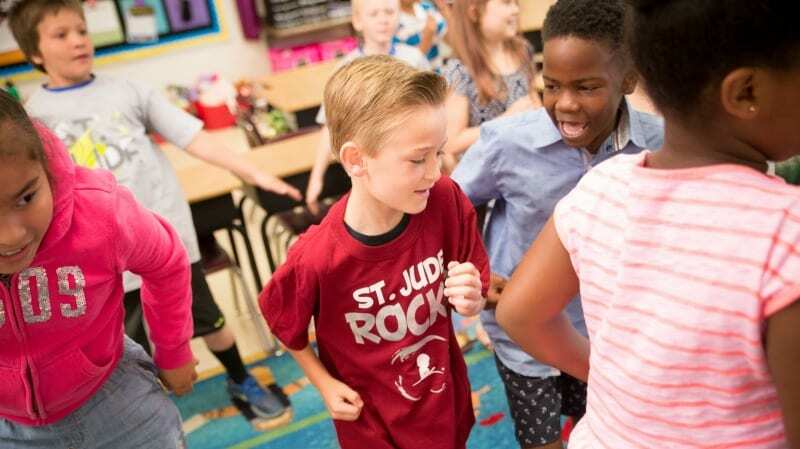 Talent shows, bake sales, and walk-a-thons are just a few of the many ways schools nationwide are already raising funds for St. Jude. Access free online fundraising resources and support by visiting stjude.org/yourway.